This course is a series of practical workshops that'll introduce you to product design and innovation, from idea to manufacture. You'll develop your design and interpersonal skills and consider new ways of thinking and better team building – essential tools for successful product design. Several small projects will be completed as individuals and in teams throughout the week, developing your skills as a designer in a variety of different fields. design processes and product analysis. 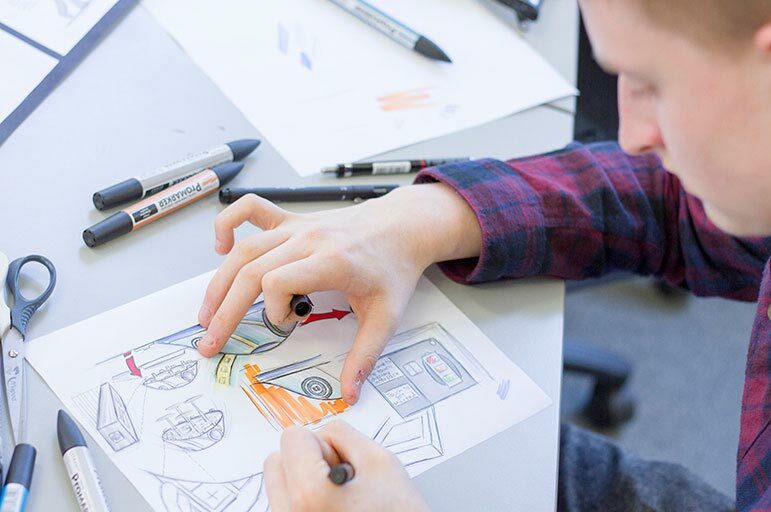 This course is ideal if you plan on becoming a product designer in the future. It's ideal if you are interested in working on projects that will strengthen your portfolio and which demonstrates new approaches in your work. The ideal attendee will be ideas and solution-driven, open to new ways of working, thinking and able to work with others in a positive way. build team spirit and refresh your creative thinking skills.